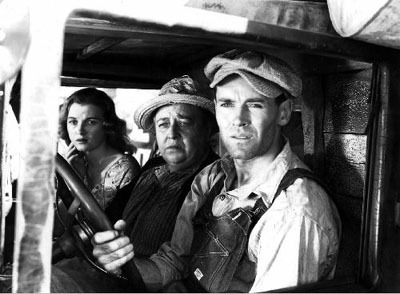 When John Ford met John Steinbeck: The New Republic looks at the film adaptation of The Grapes of Wrath. It’s great when Flavorwire dorks out and does something like the A-Z of Typographic Book Covers. A bunch of women, hanging out and drawing at a place called Pizza Island. Pictures of Russia in 1908. The Ex played over the weekend. Brooklyn Vegan has a bunch of pictures.